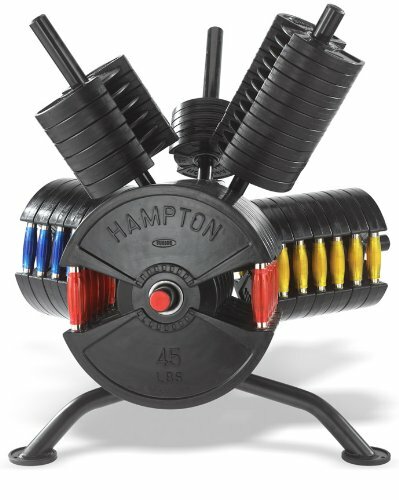 The Hampton FNR-1 Fusion Rotational Racking System is constructed of heavy-gauge steel. The FNR-1 features smooth nylon sleeves to protect the inner hub of your plates and for easy access of your Olympic plates to come on and off the rack. This rack also fits well in tight spaces - and with its 360 degree rotation it is TOP of its class. Plates NOT Included. Holds up to 800 lbs of Olympic plates. Plates NOT Included.